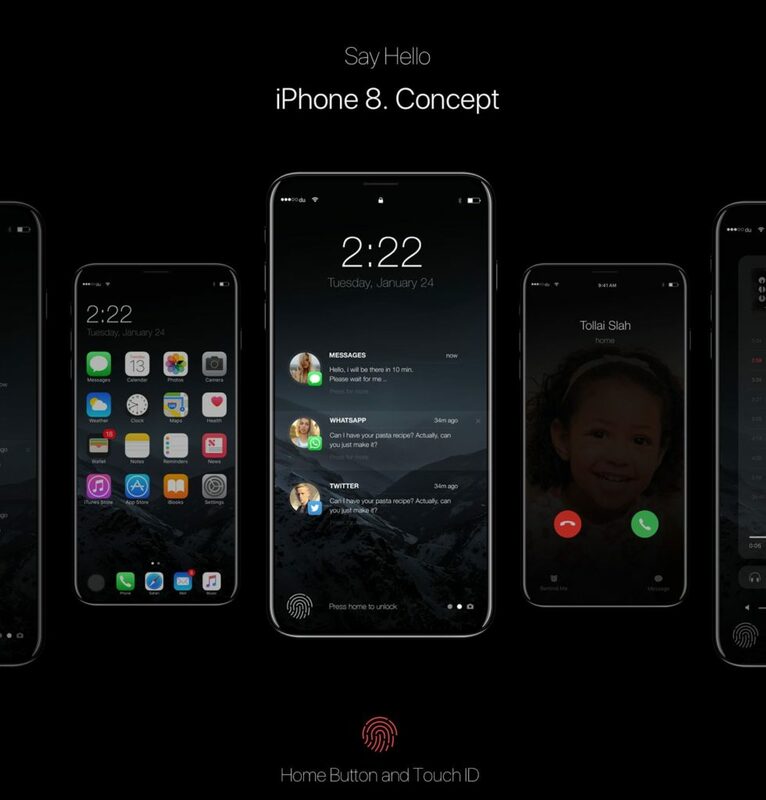 iPhone 8 is expected to be all about the OLED panel, otherwise it just won’t be innovative and “anniversary” enough. We’re not sure Apple is going to make this transition in 2017, but they should, if they want to stay ahead in the game. 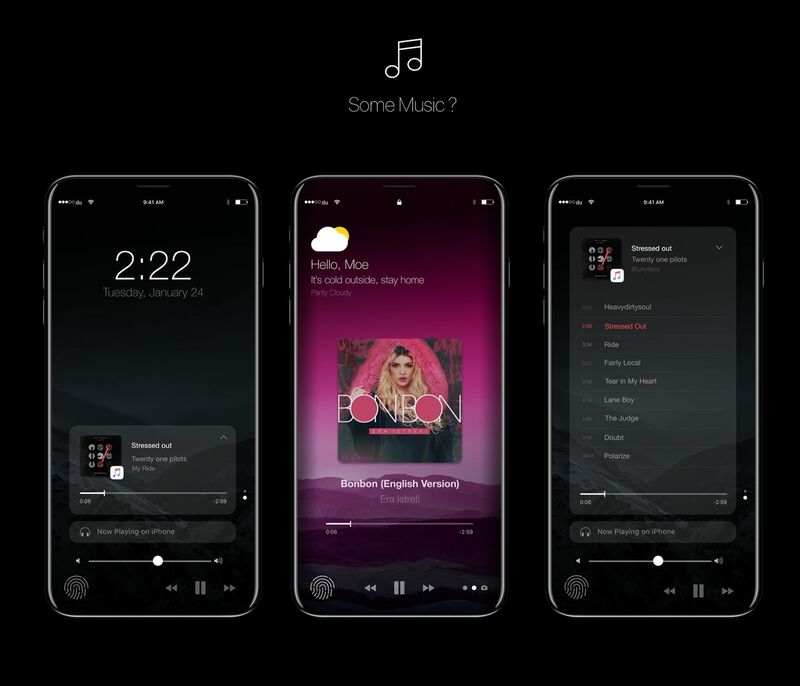 Till the Cupertino firm decides what to do, we’re treated to a fine iPhone 8 concept below. This model has been rendered by Moe Slah, who takes a realistic approach to all the rumors flying around. 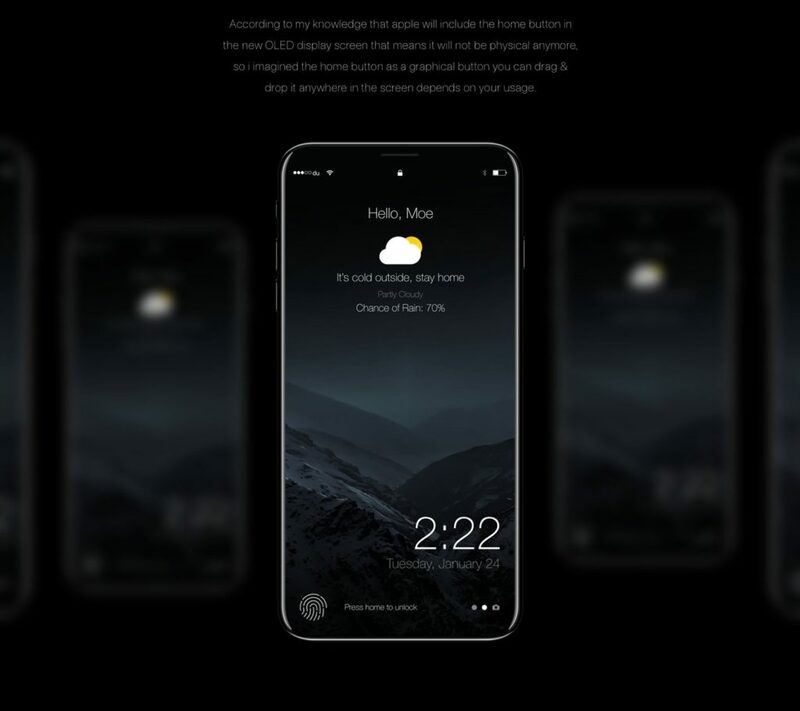 He envisions the latest iPhone as having an OLED full display, taking up the entire front side of the device. 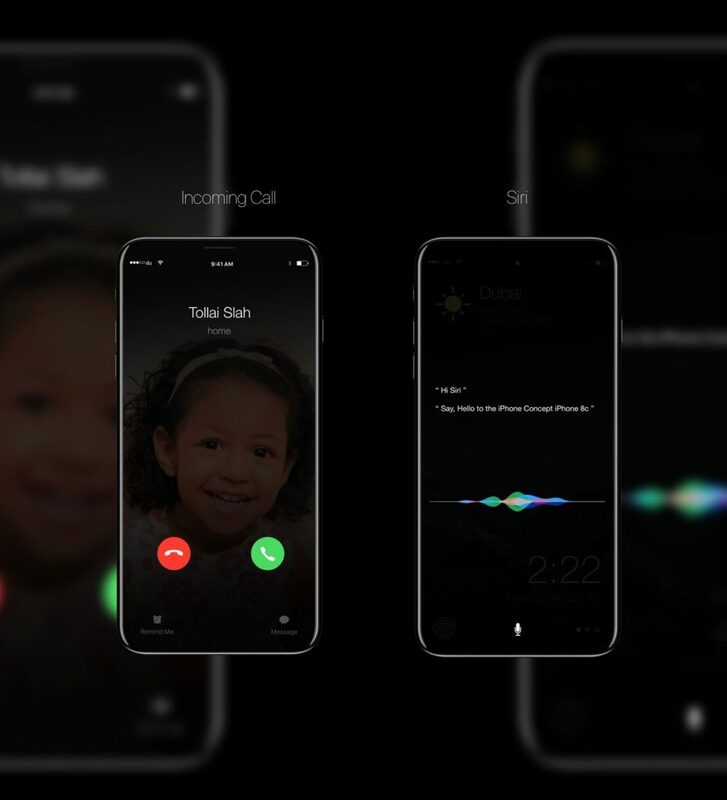 A wider range of 3D Touch gestures is available here and the screen has a diagonal of 5.8 inches. 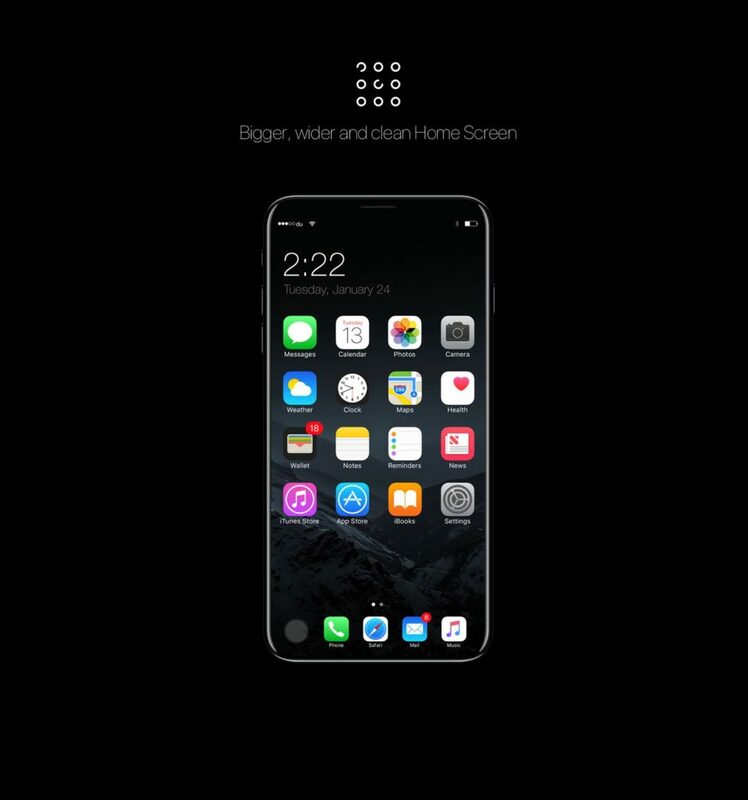 Since the Home button is totally out of the picture, the designer sees it as a graphical button, that can be dragged and dropped anywhere on the screen. 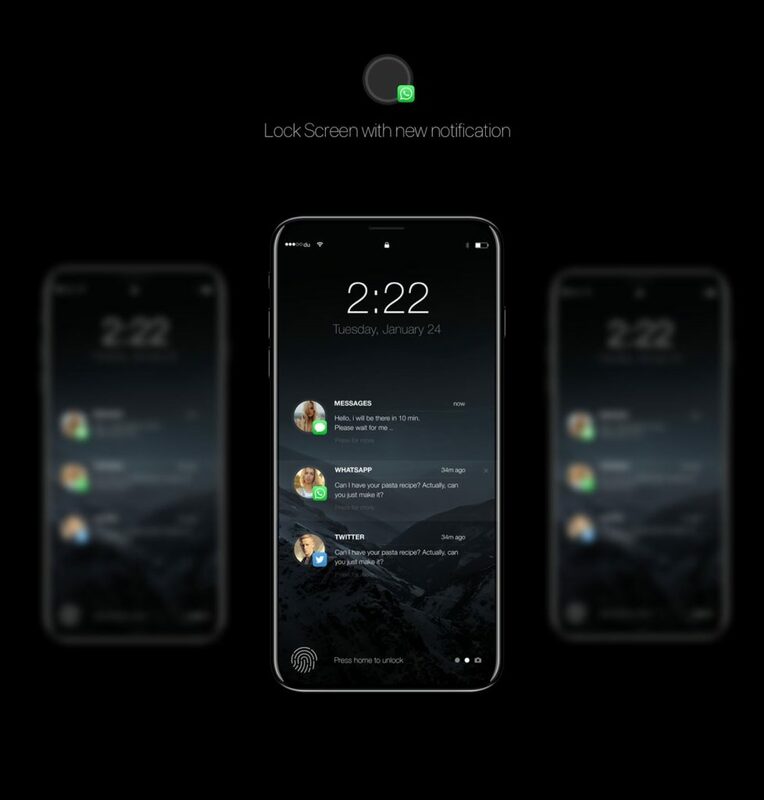 The lockscreen gets a new notification system and the homescreen is bigger, wider and cleaner now. 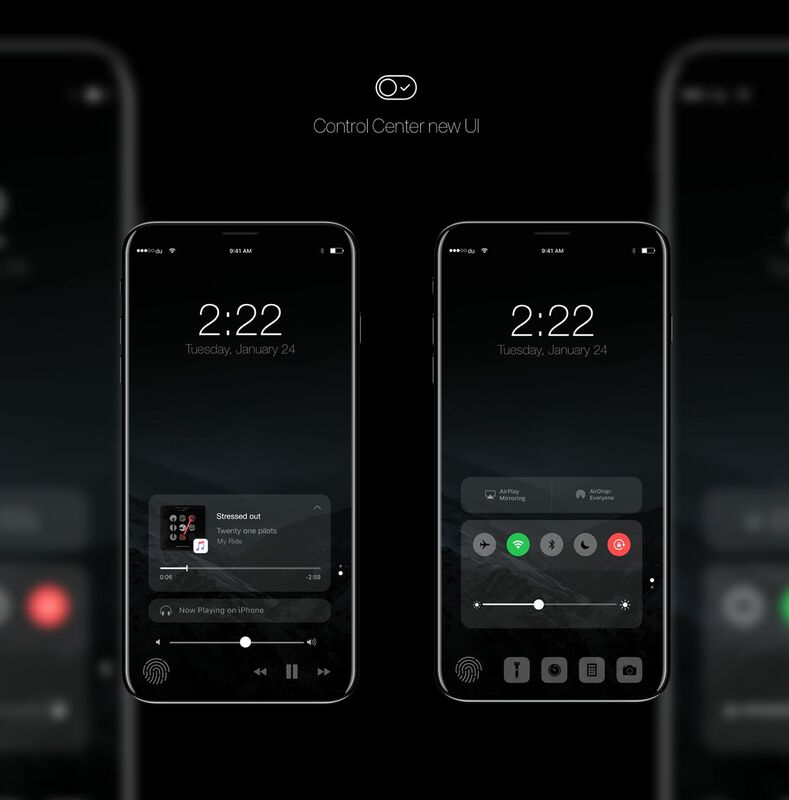 The control center also gets a fresh UI and I see that the designer is very fond of transparency and gray hues. 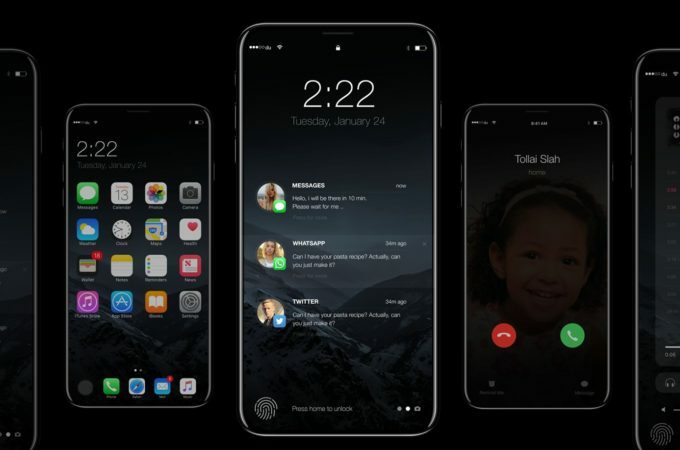 Interestingly we don’t get to have a look at the back of the phone, but I expect a similar approach to the one of the iPhone 7 Plus. The body imagined by Moe Slah has a lot of glass in the mix and curved edges all the way (top, bottom, sides). Making this device not slippery is going to be quite the chore for Apple… Let’s see if they can do it!